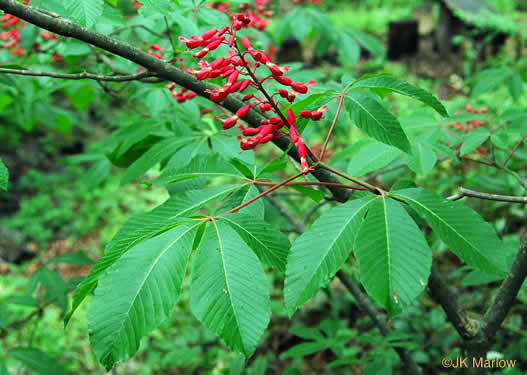 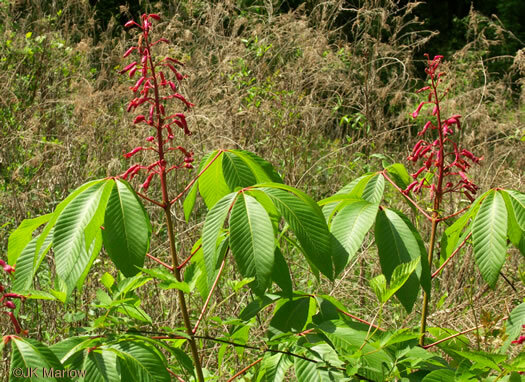 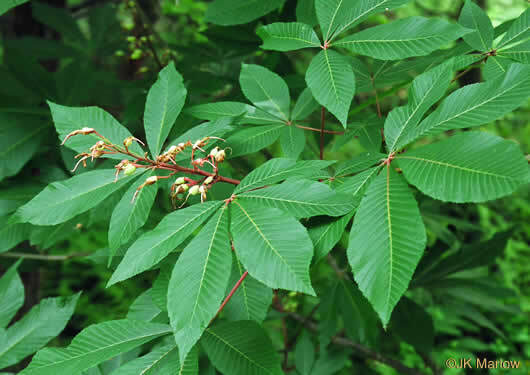 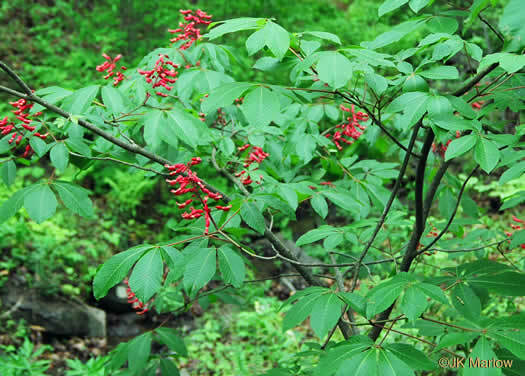 In general, Red Buckeye is found on the Coastal Plain, per Native Trees of the Southeast, An Identification Guide. 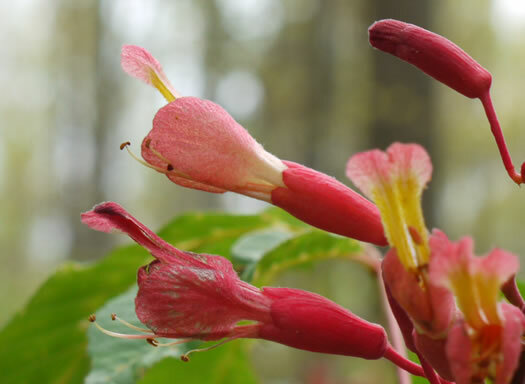 Stamens 6-8 and longer than lateral petals, per Vascular Flora of the Carolinas. 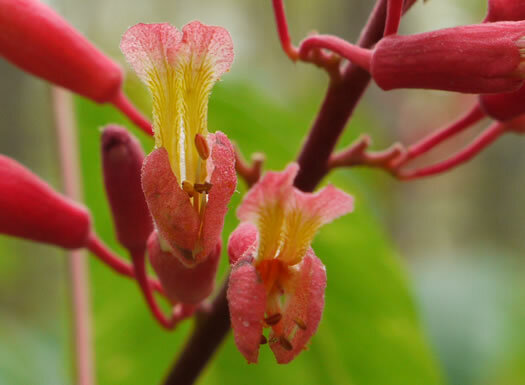 Grows as high as 12 m, sometimes flowers when scarcely 1 m tall, per Trees of the Southeastern United States. 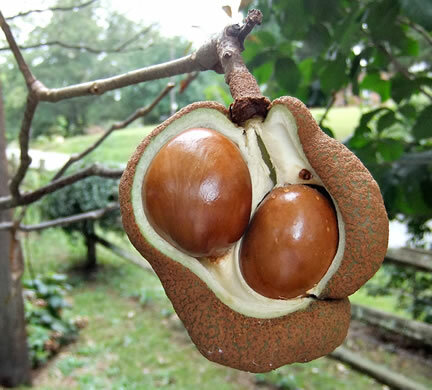 Fruit similar to that of other buckeyes except usually slightly smaller, per Native Trees of the Southeast, An Identification Guide. 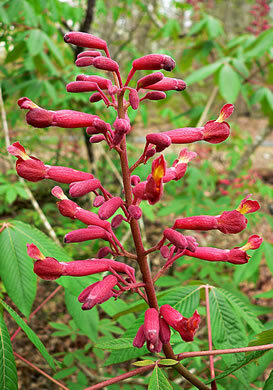 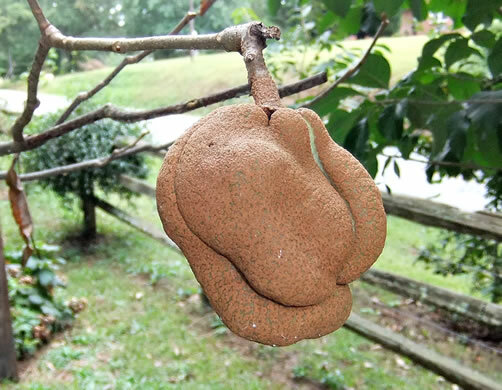 Capsule 3.5-6cm broad; seeds tan or light brown, per Vascular Flora of the Carolinas.